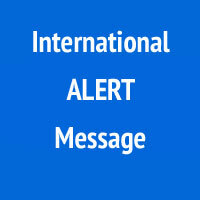 We would like to inform you that a national strike has been announced in Belgium for Wednesday, February 13th. Most, if not all, ports and airports will be closed and other disruptions are also expected. The Logistics Plus Belgium office will remain open, but operations may face delays. We apologize in advance for any service disruptions or delays caused by the strike. If you have any questions, email us at antwerp@logisticsplus.net. Thank you for your understanding.